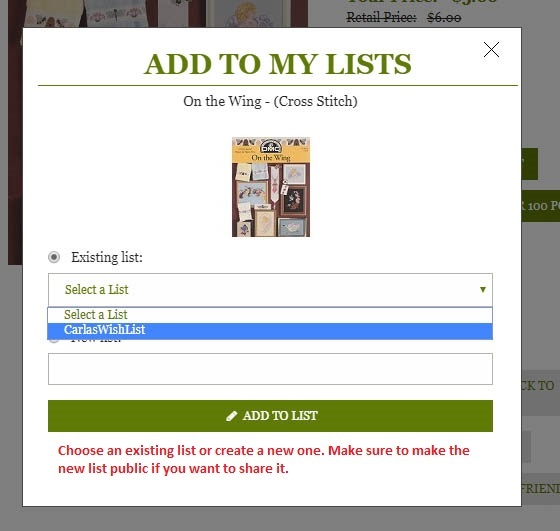 Once you've created an account you can take advantage of the wish list feature. This is perfect for saving items you may want to purchase in the future or creating a Christmas or Birthday list you can share with friends or family. You can make your list public and use the link provided to share with friends, family or on social media. Keep you list up-to-date, especially if you share it. Even if you purchase directly from the list it will not be removed. You will need to remove it manually. First log into your account. Create one if you don't already have one. 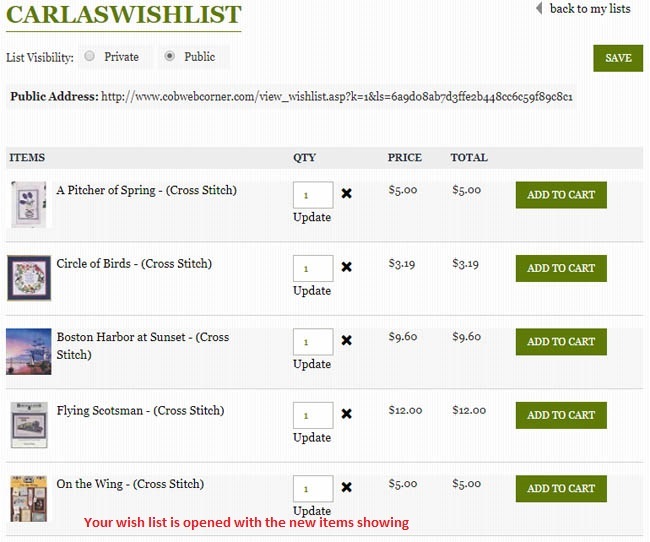 Making your wish list public allows you to share it with friends and family if you choose. They will only be able to see your wish list and will not have access to any other part of your account. 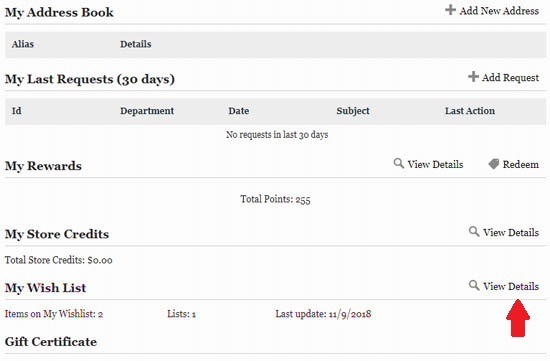 Once you change your list to public a unique link will be displayed. You can email this link or share it on social media. First log into your account. Once you log in you will be taken to your account page. If you're already logged in click on the My Account link in the menu bar. You will see all of the lists you've created (there may be only one). Click the name of the list you want to change. Click the name of the list you want to make public. Your list will appear. Change the setting from Private to Public and click SAVE. 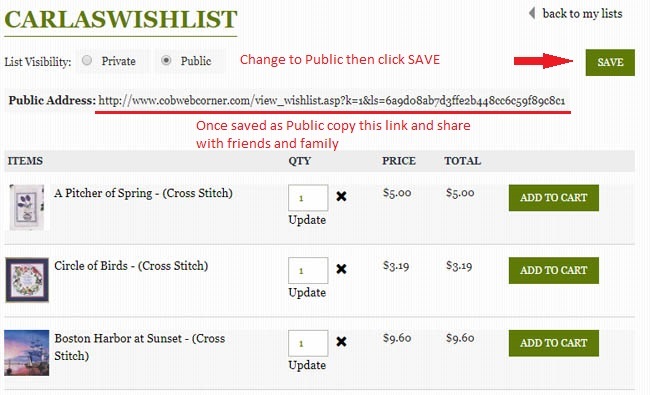 A unique link will now display allowing you to share your list if you want to. 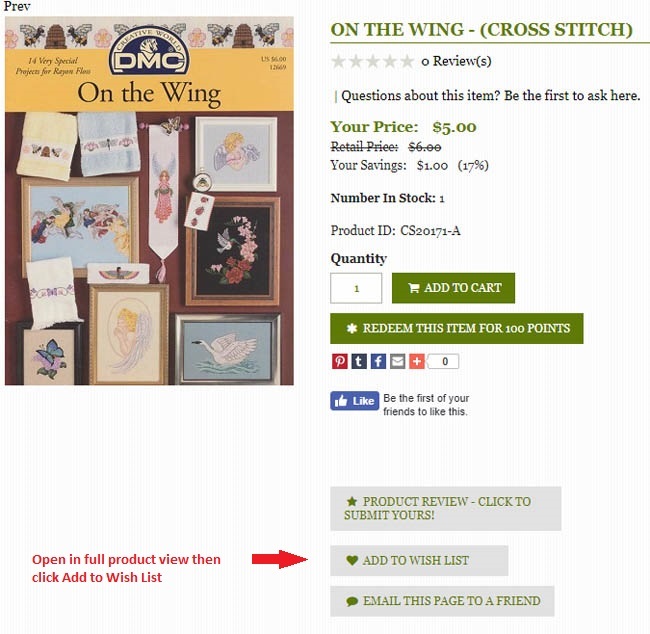 When you're friends click the link they will see your list and can add an item to your cart or shop as normal.